I received a free copy of this novel in exchange for my honest review. 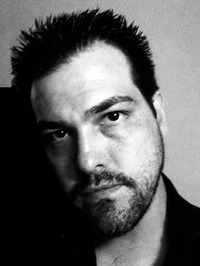 Eric Caine was a war veteran trying to put his life back together. Battling PTSD has caused him to react in bizarre ways. One day he’s found walking the streets of Miami mumbling in Arabic. He’d wrecked his car with no memory of driving it or having an accident. Then an unexpected friendship with a man he meets at a bar gives his life the fresh star4 that he needed. He gets a job in the lucrative Cosgo Company as their IT specialist. He’s really good at his job which gets him sent to Venezuela. That’s where he meets the gorgeous Trishna and the action, adventure and suspense begins. Wow! This was a fantastic novel. It reminded me of a Robert Ludlum novel. There’s lots of action and intrigue. There were moments when I wanted Eric to realize the big picture. It was a great book through and through. I definitely don’t think anyone would want to miss out on this awesome read! 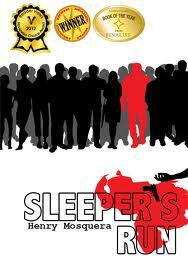 Henry Mosquera is a writer and artist born and raised in Caracas, Venezuela. He attended the University of Miami, Florida, where he obtained a double major in Graphic Design and Film. He enjoys researching his novels, including gaining first-hand knowledge of some of his characters' skills. Henry currently resides in Los Angeles with his wife, dog and cat. Sleeper's Run is his first novel.